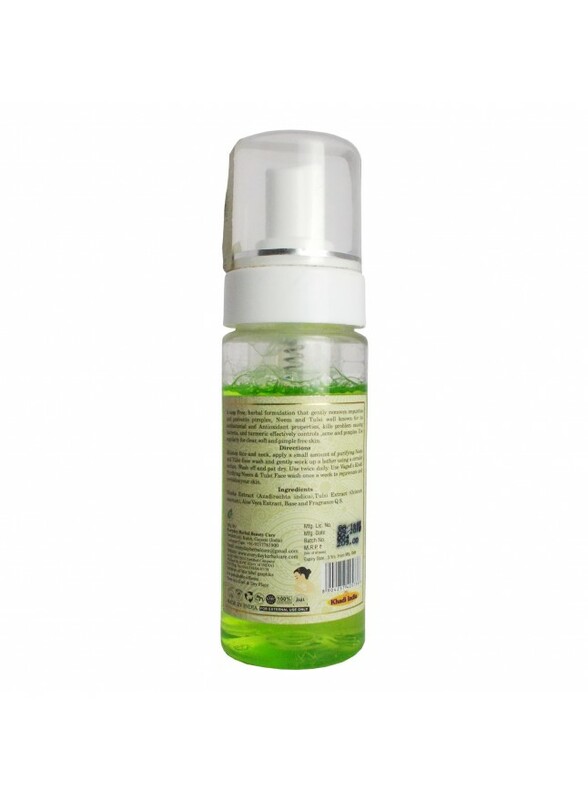 A soap Free, herbal formulation that gently removes impurities and prevents pimples, Neem & Tulsi well known for its antibacterial and Antioxidant properties, kills problem-causing bacteria, and turmeric effectively controls, acne and pimples. Use regularly for clear, soft and pimple free skin. Direction:- Moisten Face and neck, apply a small amount of purifying neem and tulsi Face wash and gently work up a lather using a circular motion. Wash off and pat dry. Use twice daily. 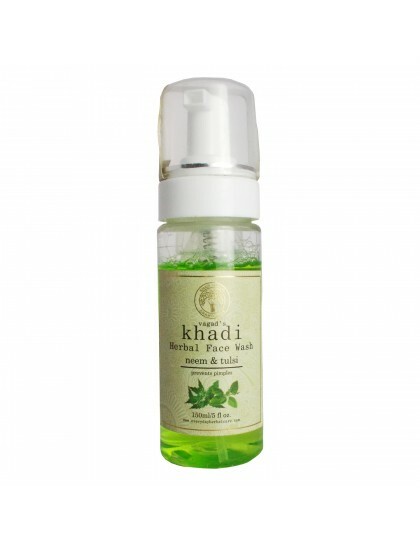 Use Khadi purifying Neem and Tulsi Face wash ones a week to rejuvenate and revitalize your skin. 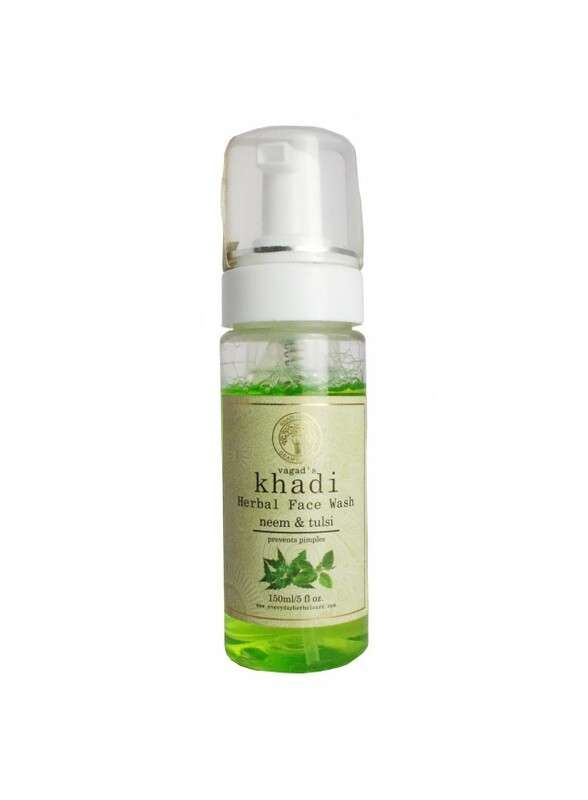 Ingredients:- Nimba extract ( Azadirachta indica), Tulsi Extract ( Ocimum sanctum), Aloe vera Extract, Base and Fragrance Q.S.